After the 40th day commemoration of the deceased, Kostantinos Katcifas, OMONIA has considered as terrorism the measures taken by the State Police throughout the day. 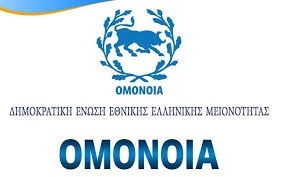 The border checkpoints and the Greek citizens' ban by the Albanian police are commented by OMONIA as a gradual attempt to exterminate the Greek minority in Albania. There are also warnings that they will ask the internationals to take measures to halt these government's 'dangerous practices'. The theme: 40th day memorial for the deceased Konstantinos Kacifas in Bularat. Report on the Program of the Greek Ethnic Minority by the Police. Ban from going to our father's homes and participation in religious akoluthites. The rejection of free movement at the border for dozens of citizens of the European Union. It is commemorated today in the Church of St. Athanasius in Bularat the Forty-day commemoration for the late, executed by the forces of police, Konstantin Kacifa. The Divine Liturgy and other accidental occasions were performed by the Metropolitan of Gjirokastra, Monsignor Dhimitri and other priests of Metropolis. Families and dozens of other believers from Bularat, other villages and Greece participated in the common prayer for the rest of the spirit of Constantinos. At the Enorsian Spiritual Center was offered to all participants café by the Church Council. There were also parliamentarians from the parliament of Greece and Albania as well as the General Consul of the Hellenic Republic in Gjirokastra. Meanwhile, dozens of other believers, members of the Greek Ethnic Minority who are temporarily living in Greece, but also Greek citizens, were banned to take place at the Memorial. Increased and reinforced police forces from Tirana to the Kakavian and Qafë Bote (Mavromati) border checkpoint did not allowed a significant number of Greek citizens without any relevant reason to enter Albania. The reasons are unfounded, whereas the behavior of the offices of the border stations has all those qualities of the investigation and mostly violation of the citizens' rights, especially those of the European Union that are fully sanctioned in terms of free movement.